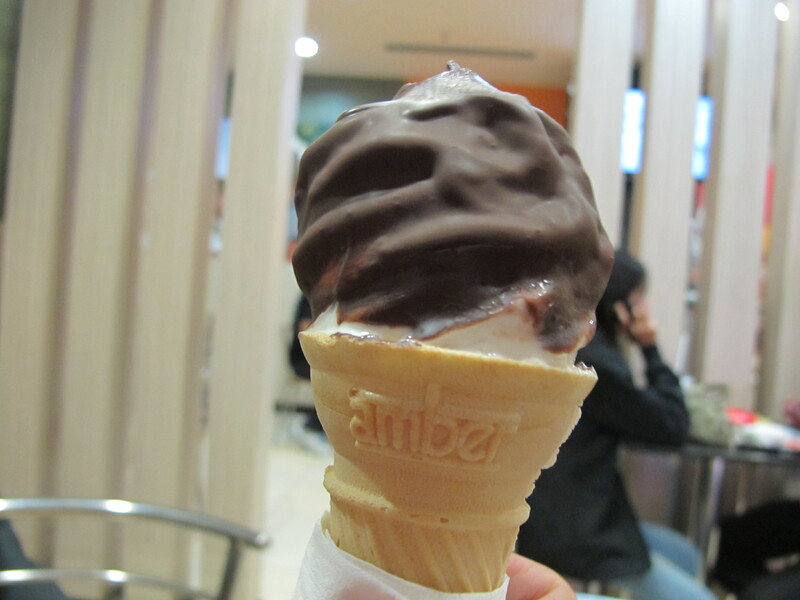 I went to McDonalds with friends yesterday afternoon and got a dipped cone!!! Anyone who I spoke with this summer knows that I was obsessed with McDonalds’ $1.29 dipped cones. Well, here they’re only 29 Rs (about 50 cents) and just as good. It was an excellent discovery. I also introduced my host parents to some of my favorite American foods at lunch today: grilled cheese, tomato soup, and Asian slaw. 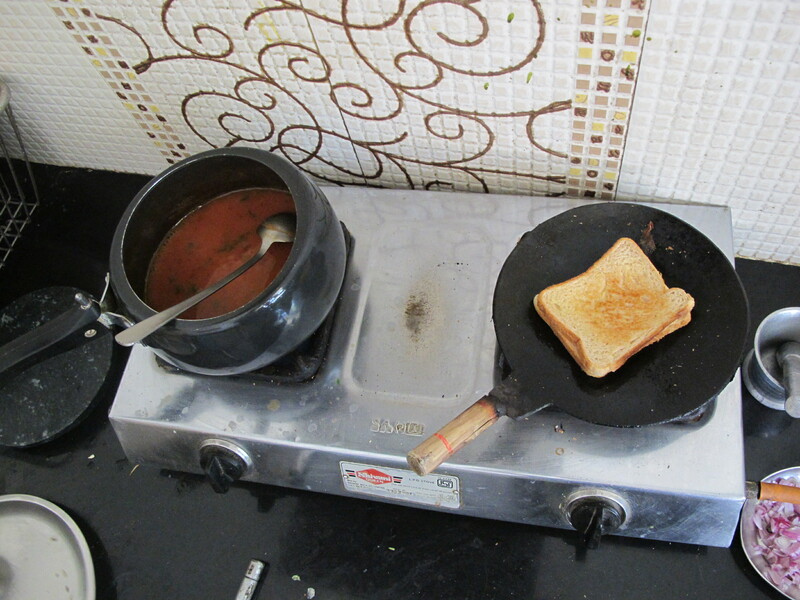 It was a struggle to figure out what food to make: it had to be vegetarian, something that only required a stovetop because they don’t have an oven or microwave, and simple enough for me to find all the ingredients in an Indian supermarket. Luckily, the meal turned out to be a success! My host dad remarked, “It’s much better than I expected!” (I think his expectations were very low). He called me an “expert chef” and is threatening to take my passport if I don’t make it another time before I leave. Tonight they’re having family friends over and have asked me to make pancakes…for dessert. We’ll see how this goes. 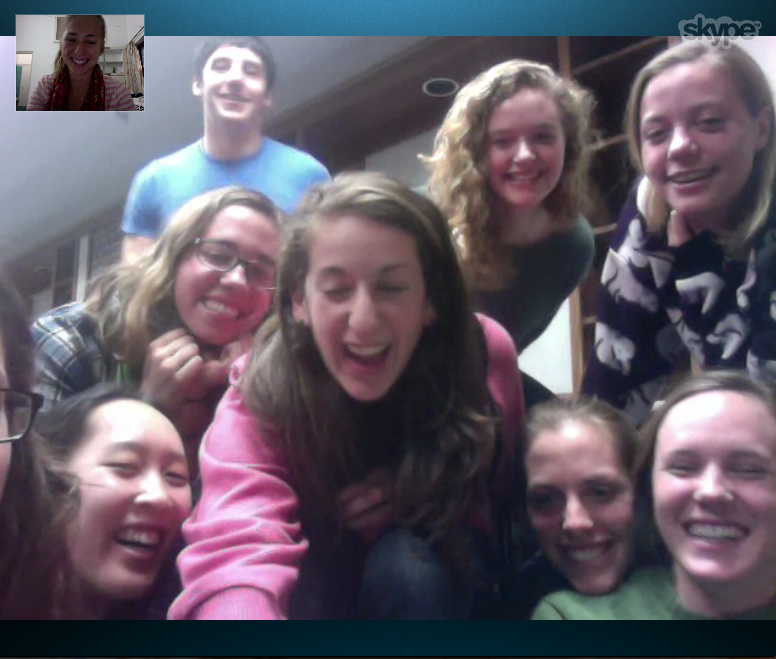 Another big highlight came when I Skyped into the crew team’s movie night. It was so fun to see everyone and get back into that world for a while even if just for a half an hour. Being away from my friends and family has been a challenge, but moments like these make being half way around the world not so bad; they’re little pieces of home in a place that has become my new, albeit temporary one.